Decent, not bad, and just okay. 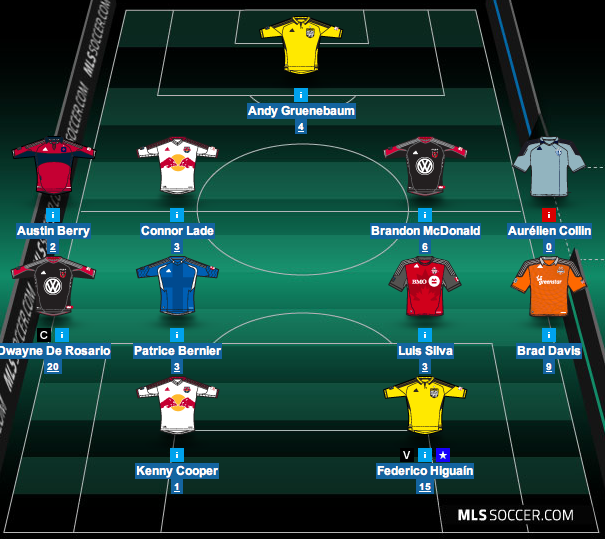 Those are adjectives I would use to describe the week my club had in the MLS Fantasy Manager game. It was another 60+ point week for the club, better than the game average but in the end not good enough to push my club further up the overall rankings (still in the 300s). Apparently now there is a Cup tournament going on as well but it turns out due to the one extra transfer that I may this week, my club lost. Darn. I made the right call with the two new additions (Higuain and De Rosario) as they added a combined 35 points. The bad was everything else in between. There are only a few more weeks left in the season and in the Fantasy Manager game, hopefully there will be a late season push here by my club but right now it looks like we are playing for next year already.